Does Jailbreaking Violate the iPhone Warranty? If you want to get more control over your iPhone, jailbreaking and unlocking are appealing because they remove Apple's restrictions on what software can be used on the iPhone and what phone company you can use your phone with, respectively. Apple has repeatedly come out against jailbreaking, but its position on unlocking has evolved over the years. After years of reversals and conflicting rulings and laws, unlocking became officially legal in July 2014 when President Obama signed a bill legalizing the practice. Despite Apple's official opposition to jailbreaking, the practice was, for a long time, popular with some people and a subject of intense interest for many more. Jailbreaking has become less common, and less necessary as Apple has adopted many features that jailbreaking used to provide, but it's still technically possible. Before doing either one to your iPhone, it's important to understand the possible consequences. If everything goes fine, you'll have more options and more control over your iPhone. But what if something goes wrong and you need help? Will unlocking or jailbreaking an iPhone void its warranty? What Does It Mean to Void a Warranty? A warranty that is voided is one that is canceled and no longer in effect due to an act that violates the terms of the warranty. Think of a warranty like a contract: it says that Apple will provide a set of services as long as you do not do a set of things laid out in the warranty. If you do one of those prohibited things, the warranty no longer applies or is voided. Among the prohibited things in the iPhone warranty is that the device can't be "modified to alter functionality or capability without the written permission of Apple." The answer is very clear: Jailbreaking an iPhone voids its warranty. Apple says so: "unauthorized modification of iOS is a violation of the iOS end-user software license agreement and because of this, Apple may deny service for an iPhone, iPad, or iPod touch that has installed any unauthorized software." (Not all legal interpretations agree with this; some say Apple can't void a warranty just for jailbreaking). It's possible that you could jailbreak a phone and damage it but still get support. Doing this would require you to succeed in removing the jailbreak and restoring the iPhone to its factory settings in a way that makes the previous jailbreak undetectable before taking the phone to Apple for help. It's possible, but don't bank on that happening. The bottom line really is that if you jailbreak your iPhone you're taking a risk—and that risk includes voiding the phone's warranty and losing out on support from Apple for the rest of your iPhone's warranty period. One type of problem that can be caused on an iPhone by a failed jailbreak is a white screen of death (don't worry: it's actually not as bad as it sounds). To learn about that and how to fix it, read How to Easily Get Rid of the iPhone White Screen of Death. On the other hand, if you want to unlock your phone, the news is better. 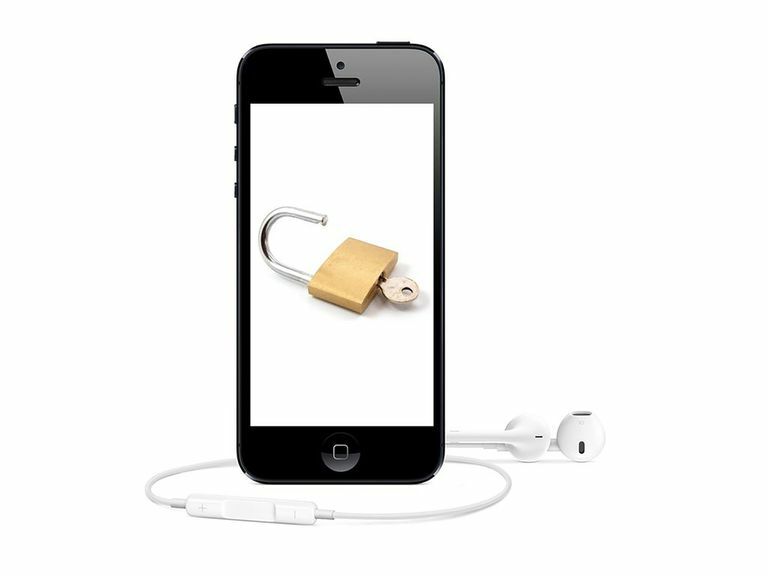 Thanks to the law mentioned earlier, unlocking is now legal in the U.S. (it's already been law, and common practice, in many other countries). But not all unlocking is the same. The unlocking that is legal and won't cause a warranty problem can be performed by Apple or your phone company after a defined period of time (usually after the contract you signed when getting the phone is finished, though many people have month-to-month, contract-free service these days). If you get your phone unlocked through one of these authorized sources, you'll be protected (though there's an important detail related to this explained in the next section). But there are many other sources of unlocks, including do-it-yourself software and companies which will unlock your phone for a fee. These options will usually result in unlocking your phone without damage, but since they're not officially authorized to provide the service, expect that using them will result in you losing warranty support if you need it. One of the most important factors when considering the effect of jailbreaking or unlocking on your iPhone's warranty is the length of the warranty itself. The standard iPhone warranty offers 90 days of phone support and one year of hardware repairs. After that, unless you buy AppleCare to extend the warranty, your support from Apple is over. That means that if you're jailbreaking or unlocking your phone more than a year after you bought it, it's out of warranty anyway, so there's less to worry about. Still, jailbreaking can cause Apple to deny all service, including support and repairs that you'd pay for outside of the warranty, so think hard before taking that step.